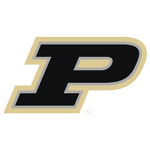 The former Purdue center came into the studio one afternoon to participate in a Big Ten Network documentary on his former coach, Gene Keady. I helped locate a room in which to record, and sat in on the interview. He did so well I took him upstairs to record my program, too. His college career was mostly overshadowed by Glenn Robinson, but he was part of three Big Ten championship teams and was good enough to play 10 seasons overseas. He was working basketball camps, helping with a high school team and working with troubled kids when we talked, but his big break was soon to come. Matt Painter hired him as an assistant coach at Purdue less than a year later. He’s a natural story-teller, and turned out a good show. It’s nice to have one drop in your lap now and then, and this show helped get his name out into the public. I’m not saying it’s the reason Painter hired him, but it surely helped more people become aware of him.